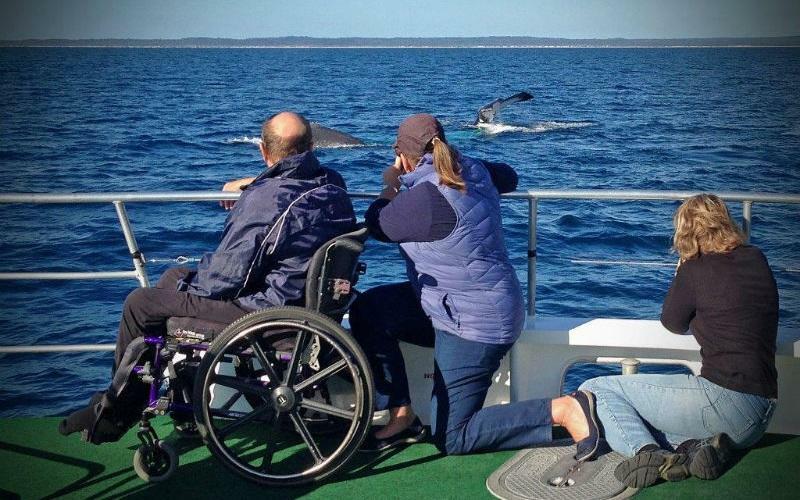 Whale Watch Hervey Bay is a small, ecotourism-certified family business and wildlife tour operator in Queensland, Australia, which facilitates breathtaking experiences and close encounters with Australian wildlife, especially whales and dolphins. 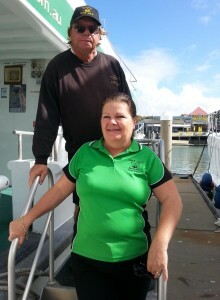 Owner-managers Brian and Jill in this interview tell us how the pioneering whale watch operator’s commitment to responsible tourism has been crucial for the establishment of the Hervey Bay Marine Park, making it a good example of how a small, family owned business can make big waves in terms of impact across the destination. Advice to other tour operators. Brian and Jill, when and why did you decide to focus on inclusive, responsible tourism? When we built Quick Cat II, our sixth and latest vessel, we could see the advantage in operating a boat with less impact on the environment. Our biggest gain however was to have pram and wheelchair access to the bow. What does responsible tourism mean for you personally? Looking after the environment while ensuring our customers have a raised awareness and are more knowledgeable after the experience. To reduce our impact, we use recycled products where available, reduce our waste overall, but also things like more social media marketing and less printed brochures. Have you obtained any green certification and awards? In all we have over 45 awards, as Whale Watch Tour Operator, Access Tourism, Disability Tourism, and the Regional Exporter of Queensland Award in 2010. Our company has maintained Advanced Eco Tourism Certification for the past 12 years. Thanks to our ecotourism certification, our customers know that we are caring for the environment while still operating a successful business. Which areas do you find the most difficult to gear towards sustainability? No access to biofuels, which we hope will improve in the near future as we are still reliant on diesel to run the Quick Cat II. How do you communicate sustainability initiatives to your guests and business partners? Through education on the vessel, our children’s activity booklets and representational events done by ourselves. Your advice to tour operators in Australia eager to improve their environmental performance and sustainability? Head to the Eco-Tourism Australia website to find out what changes you can make. Set clear goals of what you want to achieve in sustainability and don’t lose sight of that. Thank you, Brian and Jill. For more info on the whale watching tours offered by Brian and Jill, visit the Hervey Bay Whale Watch website or follow Hervey Bay Whale Watch on Facebook, Twitter, Instagram and TripAdvisor. Apart from interactive and educational activities, the booklet contains a page explaining the history and need of Hervey Bay Marine Park. The booklet explains that, from 1988 on, Brian and Jill helped Griffith University to conduct aerial surveys of Platypus Bay for Queensland National Parks and Wildlife Service, which eventually led to the formation of the Marine Park in 1990. Soon after the Hervey Bay Marine Park Permit Advisory Committee was formed, Brian Perry joined in this mutual effort to not only monitor whale and vessel interactions but to be able to set down strict regulations on approach distances for vessels and aircraft, as well as regulate the size of the whale watch fleet so as not to ‘over crowd’ the whales. Thanks to this there are now only 19 operational whale watch permits in the area. Approximately 65,000 people go whale watching each year in the Hervey Bay Marine Park. And the estimate for whales visiting the bay each year has grown from 300 in 1987 to 15,000 in 2011. Enjoyed our interview with Brian and Jill on the sustainability strategies of the responsible wildlife tour operator Whale Watch Hervey Bay in Queensland, Australia? Spread the word!